To become a certified BPI Building Analyst you will need to pass with a 70% or better a written exam and an 85% or better on the field exam. The field exam IS OPEN BOOK. You are allowed to bring in any material you would like, including your BPI Standards, field sheet cheat sheets and formulas to aid you. However, you are only allowed TWO HOURS to complete the field exam. The field exam can be difficult because you have to think out loud and is akin to acting in a play... it's staged, you need to almost memorize lines until it become natural, and you have an audience that may or may not be forgiving of slip-ups. Lots of practice and mock field exams on several houses is the best way to prepare for the field test. The field proctor is not allowed to offer any guidance during the exam. You will have to talk through a good portion of the exam, telling the field proctor what you would do, but not actually perform it. Many field proctors will not have you go in the attic for liability reasons, but you will need to tell them what you would look for during an attic inspection. The field exam, unlike the written exam is open book. Here is a list of some essential material to aid your field exam. 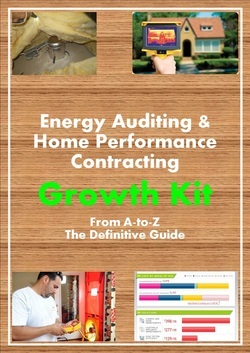 Create your own energy audit field sheets complete with formulas, CAZ limits, and other limits to room pressures, BAS threshold, draft formula, etc. This will take time and energy on your part, but I highly suggest it. Put in the hard work required to make these field sheets but in doing so you will walk through the energy audit in your own mind. Pictures of the manometer set up for each test you perform. This will vary slightly depending if you have a Minneapolis, Retrotec or Therma Star blower door. There are a lot of calculations to know for the BPI test and it is easy to get them mixed up. Here is a list of what you will need to know for the field exam. 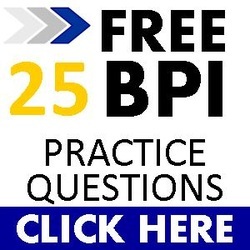 I suggest a good memorization session and visualizing yourself going through the BPI Field Test with someone following you around.